Clients often ask; What do I do if I don’t have teeth but I still want a nice smile without Dentures? Implant dentistry has given us a “new world,’ so to speak, when talking about replacing teeth. Sometimes patients get self-conscious about the way their teeth look so they avoid coming in. The avoidance of care *can* cause the mouth to deteriorate further and may lead to the need for a full mouth reconstruction with implants, instead of what might have been less work. Some patient’s are afraid of, or don’t like the idea of, dentures. We get it. Sometimes taking teeth in/out is impractical. 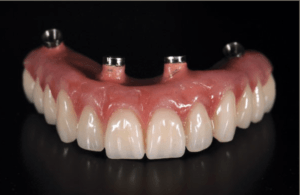 So, in this case, if the patient would like to have the sensation of having teeth without any salvageable teeth and they don’t want to take anything in/out daily (dentures) implants are the only other option. There is a method called “All on Four.” All on Four is best described by one of the pioneers of the concept and retailer of dental implant Nobel Biocare. Read more about it here. The teeth are removed, if they aren’t already gone. Four dental implants are placed at specific locations in the mouth. The placement helps to balance forces of chewing once the teeth are placed. Lastly we seat the prosthetic on the four implants and ensure that the patient’s function and appearance is acceptable. Without dental implants, this would not be possible. Implants currently provide the only method of retaining teeth that do not come in and out like conventional dentures. These procedures can be costly and take some time to complete, however the results produce a full new set of teeth, a new smile, a new self-confidence. All through dental implants! Still have more questions? Come see us today and ask to see Dr. Z. See if you can pick out his dental implants! Call us today at 509-585-2500 or email us today to setup your FREE Consultation. 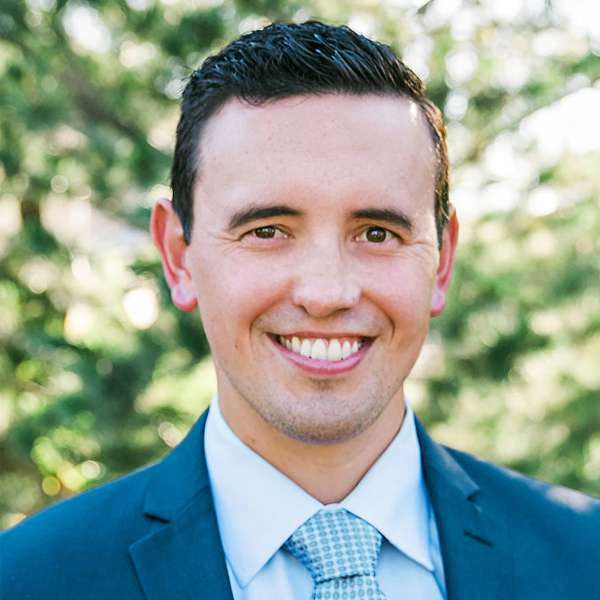 Dr. Zentz was born and raised in Spokane, Washington, and he graduated from Washington State University with a degree in Zoology and an emphasis on Human Anatomy and Physiology. Dr. Zentz then attended the University of Washington School of Dentistry, where he received the Charles L. Bolender Award for academic and clinical excellence in prosthodontics.